Each year, billions of pounds are spent protecting a country’s borders both in the UK and around the world. Border Protection & Surveillance is paramount to the security of every nation across the globe. It is a critical operation which cannot afford periods of downtime or reduced persistence. The risk of ineffective border protection leads to a strong potential for illegal immigration and smuggling, human trafficking and terrorism. It has been proven countless times that the most effective response to these threats is accurate and collaborative intelligence. Border protection is a 24/7 operation that must be ready to act at a moment’s notice. 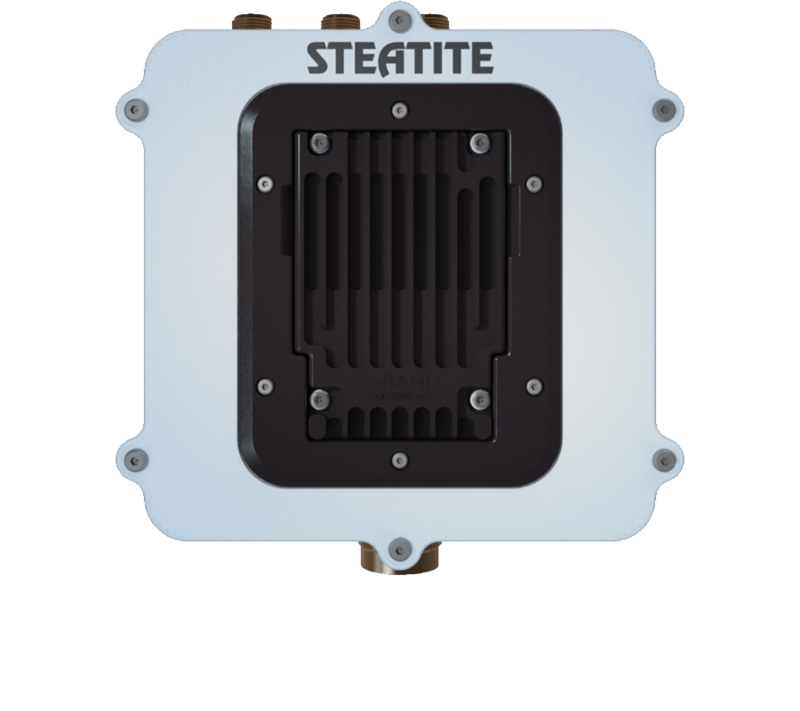 Working with industry-leading trusted partners, Steatite can deliver a technologically-superior solution for your border security and surveillance requirements. The Persistent Systems Wave Relay® product suite is the ideal solution for your Border Surveillance requirements. Using the latest cutting-edge MIMO technology, Wave Relay® is a Wireless Secure Scalable Communications solution which creates a Mobile Ad Hoc Network (MANET) IP Mesh platform across which data, voice, and video can be passed. With a throughput of up to 100Mbps, Wave Relay® is the world’s leading secure encrypted MANET network system. Data, live video, and voice can be sent and received to and from dismounted and remote units offering full duplex up-to-date intelligence on the current integrity of a border whilst integration with drone detection systems and our unmanned solutions offers extra comprehensive airborne protection. Furthermore, our ability to assimilate local area voice, video and data communication with existing internet and 3G/4G infrastructure provide BLOS connectivity, allowing front-line intelligence to pass securely back to HQ or Government intelligence services. A Border Protection Enforcement Officer equipped with a Wave Relay® MPU5 Secure Tactical Radio will be able to operate more efficiently than ever before. The MPU5 supports 16 talk groups for crystal clear voice audio, allowing users to coordinate effectively and without compromise. With a helmet-mounted camera connected to the built-in high definition video encoder embedded natively within the radio, Border Protection Enforcement Officers can relay video from their body-worn optical sensors over a Wave Relay® network to a remote command post or vehicle. The secure IP Mesh network created by the Wave Relay nodes can distribute this multicast video to other officers in real-time, allowing for decisions to be made faster in the field. Border Protection Enforcement Officers would greatly benefit from a Wave Relay End-User Device (EUD) connected to the MPU5 radio. 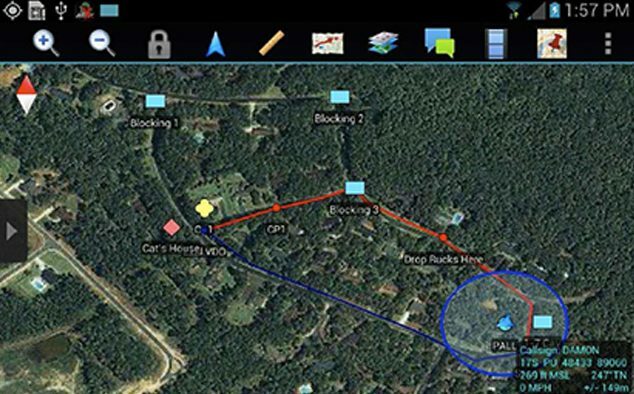 Each MPU5 radio has a built-in Android-based computer, capable of running your situational awareness applications directly on the radio. You can now run TAK directly on the radio to get that critical common operating picture, required for effective decision-making. Using Wave Relay’s multicast video capabilities empowers your Border Protection Enforcement Officers to view any video camera feed (or other sensor data) on the network remotely. Through real-world use, Wave Relay has been proven time and again to be the best performing, most advanced and most reliable MIMO MANET network radio system available to date. The unique Wave Relay® Dual PTT provides both talk group and volume selection to the MPU5, allowing you to communicate with two different talk groups from a single radio – talk group A can be heard in your left ear whilst talk group B can be heard in your right. Aircraft operating along the border can communicate with multiple teams on the ground, whilst multiple teams on the ground can communicate with each other on a separate channel. Double-tapping both buttons on the PTT simultaneously engages a unique hands-free full duplex voice feature. This essentially creates a voice-activated “conference” feature between all operators on a selected talk group. In this mode, MPU5 users can speak to each other without the need to press the PTT, enabling real-time hands-free conversation. The Dual PTT runs a voice activity detection algorithm which looks for human speech in the audio stream. When speech is detected, the MPU5 starts to multicast the audio to the rest of your team. 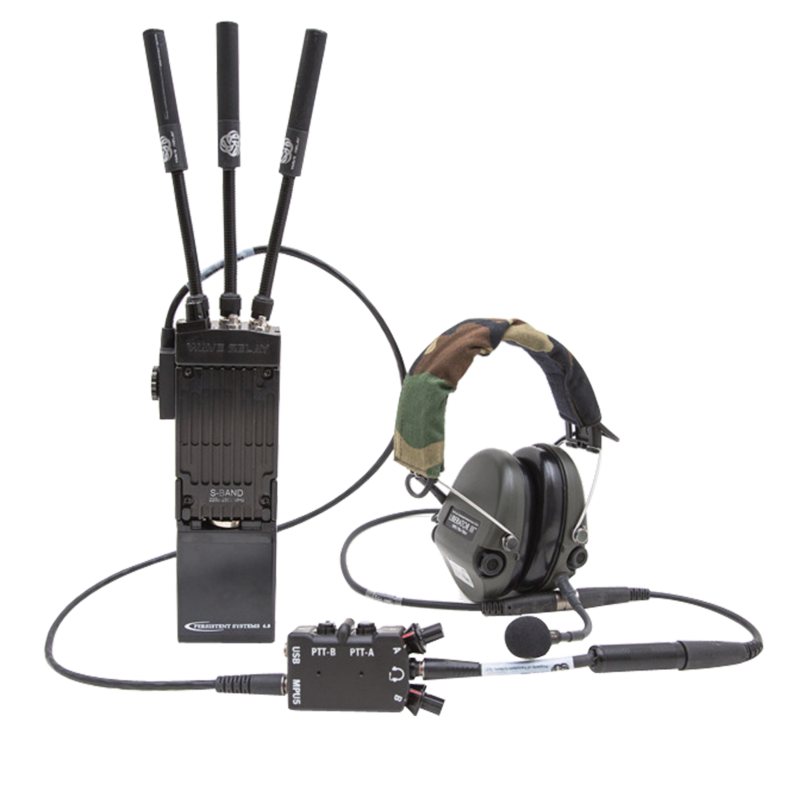 The MPU5 allows you to connect your existing legacy Military Radio to a Wave Relay network using the unique RoIP capabilities of Wave Relay®. Tether one MPU5 radio to your SATCOM terminal – now your SATCOM radio is accessible to everyone with a Wave Relay® MPU5 radio in your squad. You can leave your bulky SATCOM or Legacy Military Radio (LMR) system in your vehicle, tethered via a cable to a Steatite Wave Relay® vehicle system. Every MPU5 radio connected to the same Wave Relay® network will now be able to remotely key up the SATCOM or LMR radio if required, and talk through either Wave Relay® or SATCOM / LMR, greatly reducing the amount of equipment that the user needs to carry and ensuring they remain as mobile and comfortable as possible. The task of safeguarding a nation’s borders is a challenge for a number of reasons, principal among these is the sheer scope of the area that needs to be efficiently patrolled and monitored. Having a reliable long-range communications system is therefore paramount to ensure that tactical intelligence is distributed as expediently and effectively as possible. Using the Persistent Systems Wave Relay® Embedded Module Steatite has developed a suite of directional and omnidirectional mast mount solutions that provide total 360° coverage. Each mast mount antenna helps to create the IP Mesh Datalink across which all voice, video and data intelligence can be passed. Extend the height of a Wave Relay node within your network to achieve greater coverage by deploying a tethered drone equipped with an integrated Wave Relay® Embedded Module. Deploying a Wave Relay®-compatible tethered drone to an altitude of up to 100 meters will extend the range of your local area communications exponentially. In addition to Tethered drones, it is possible to connect your Wave Relay® network to other surveillance assets. Wave Relay® is used as an Unmanned Datalink, connecting operators to unmanned airborne and ground vehicles for the purposes of surveillance operations and command-and-control. 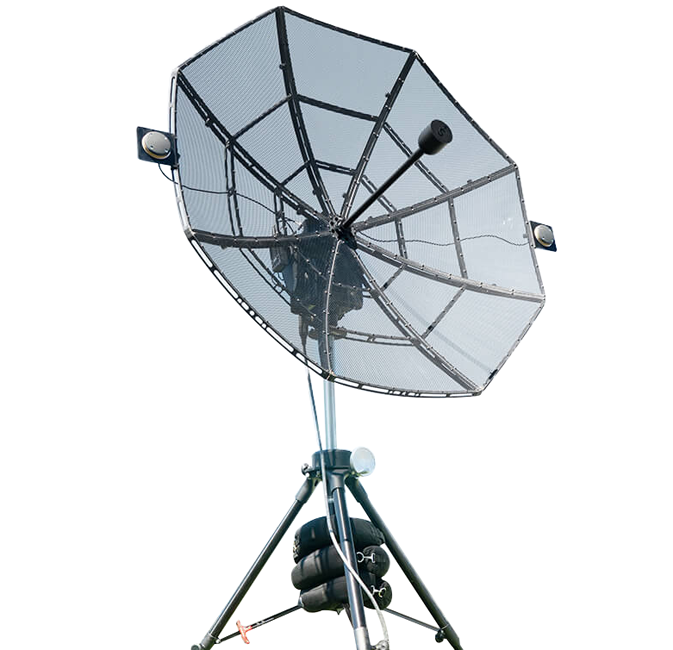 Further, extending the reach of your border surveillance solution by using the Wave Relay® Auto Tracking Antenna. Designed to deploy anywhere, anytime the auto-tracking antenna system provides the longest range and highest performance datalink for your manned or unmanned aircraft. The Wave Relay® Auto Tracking Antenna is a deployable system that works in concert with the MPU5 radio to deliver high throughput at long ranges to keep you in constant communication with your aircraft. Disassembling into five, easy-to-transport cases, the system can travel with you wherever you go. Long-range high-throughput communication to manned and unmanned aircraft has never been so simple. Vehicle-based platforms need to be able to operate independently, while still integrating with a central command-and-control facility so that sector commanders can reposition their border security assets as the tactical situation demands. Steatite can provide a complete suite of vehicle-based MANET systems compatible with Wave Relay® – from wheeled and tracked ground vehicles through to manned and unmanned, fixed and rotary-wing aircraft. The IP Mesh created by the Wave Relay® datalink can be used for everything from payload data, camera & sensor data, high definition full motion video, command-and-control, and more. Wave Relay® is the tactical datalink of choice for a range of unmanned vehicles manufactured and operated by some of the world’s largest and prestigious multinational defence and security organisations. 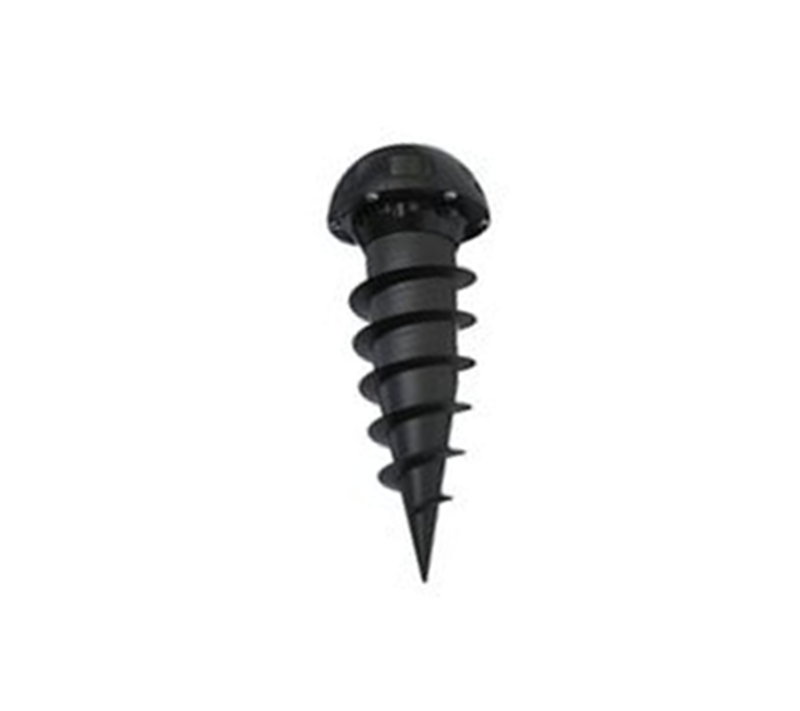 To complement your surveillance operation Steatite can supply unattended ground sensors which can be buried beneath the ground, virtually invisible to the naked eye. These unattended ground sensors are both highly-sensitive and intelligent, capable of identifying and classifying sensor detection into one of three categories – footfall, vehicular movement or digging. Using Wave Relay® as the IP Mesh network, these ground sensors are able to remotely trigger alarms or camera systems, alerting the security services to an intrusion. Using the Wave Relay® network, sensor data can be sent directly to the end-user device being worn by the Border Protection Enforcement Officer.